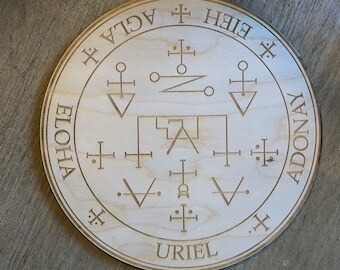 This is an Archangel Gabriel Altar Table / Crystal Grid made out of Birch wood. These are made to order, you can choose between approximately 3, 6, 9 and 12 inches in diameter and 1/4" think. WORKS WITH CHILDREN – Archangel Gabriel assists with conception, pregnancies and birth. The wellbeing and happiness in children is important to him. He especially helps sensitive children, mentoring parents, teachers and counsellors to help a child. ENCOURAGES YOUR PASSION – Archangel Gabriel supports us to work in our chosen careers, to find our passion and he gently encourages us to follow in our dreams. GIVES US STRENGTH & PROTECTION – Archangel Gabriel gives us strength when we feel weak, emotional or vulnerable. He helps us to protect ourselves from negativity and encourages us to feel stronger in situations when needed. 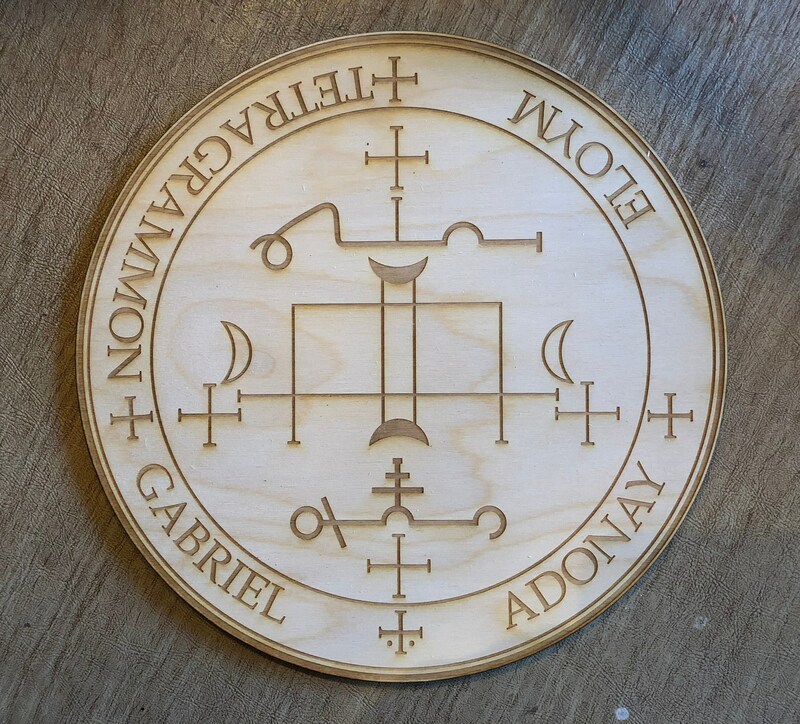 COMMUNICATION – The Archangel Gabriel symbol denotes communication, and he assists us in finding ways to communicate with others, especially if there is something which needs to be finalised, discussed or if highly charged emotions are involved.